Serve your finest au gratin dishes in the Winco ADO-8 Stainless Steel Oval Au Gratin Dish 8 oz. This attractive stainless steel au gratin dish can be taken directly from the oven to the serving table to present your customers with their perfectly crusty and hot au gratin dishes. 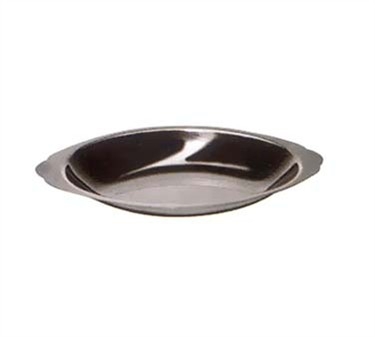 This serving dish is durable and sturdy and promises to last for years in your food service operation.